New Trojan 30XHS Golf cart Battery Free Delivery to most locations in the lower 48 States*. 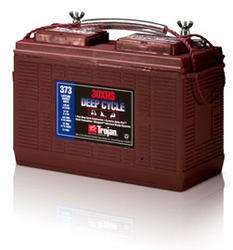 New Trojan 30 XHS Gem Car Battery Free Delivery to many locations in the Northeast. For use in Gem Cars. The Trojan 30XHS batteries are sold with core exchanged at the time of the delivery. The core cost is $30.00 per battery if you do not have a core. Length 13 15/16" Width 6 3/4" Height 10 1/16"